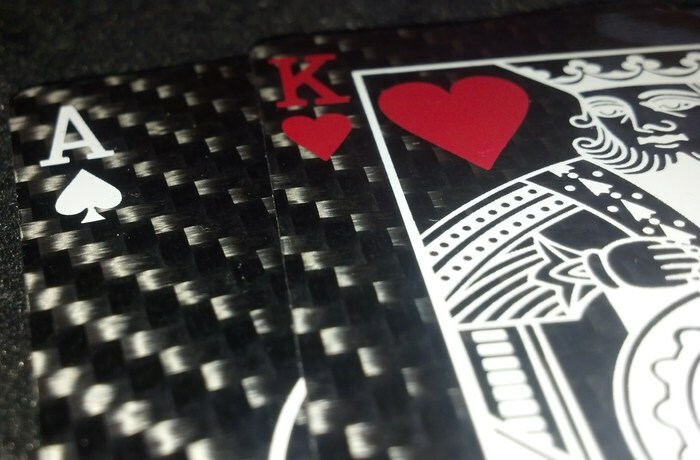 The carbon fiber playing cards are a set of playing cards made from Black 3k Twill Carbon, and although they can still snap in half or possibly rip in half if enough pressure is applied, the cards are much more durable than your run-of-the-mill playing cards. 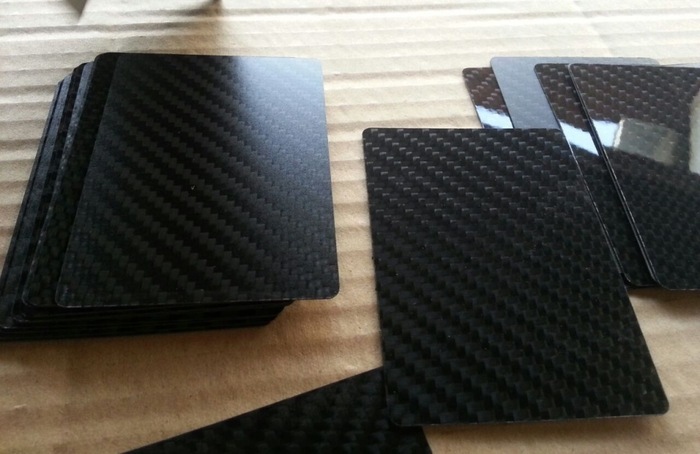 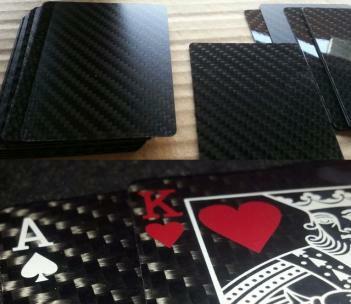 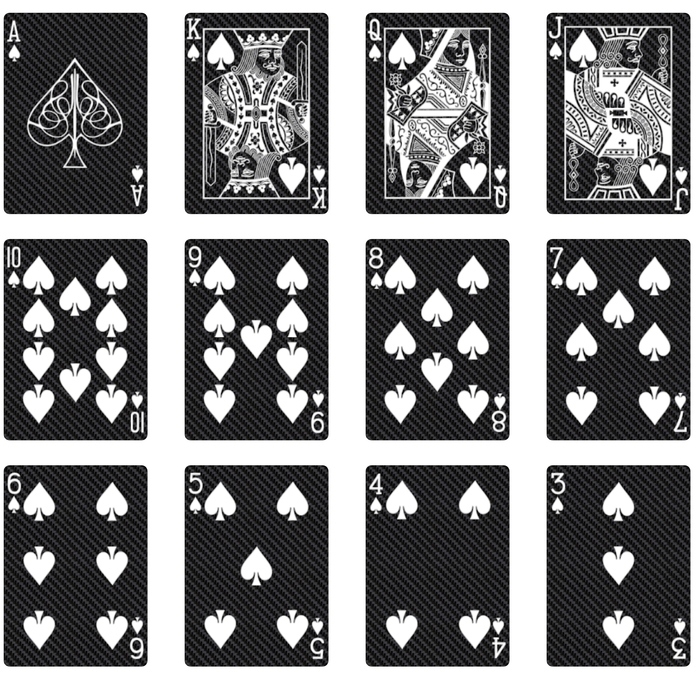 The carbon fiber deck of cards comes in a standard 54 card deck that is printed on real Carbon Fiber, which is a material composed of mostly carbon atoms that is as strong as steel, and as light as a feather, and is a very popular material that is used in aerospace, engineering, and the military. 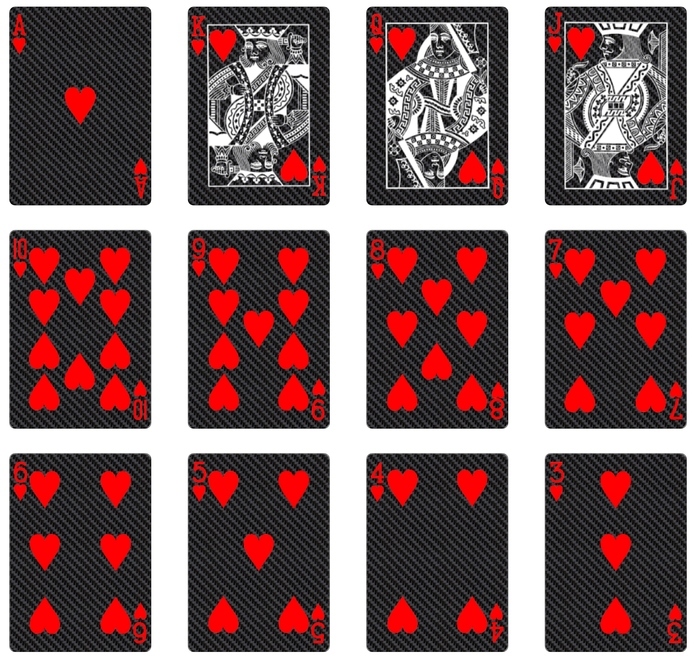 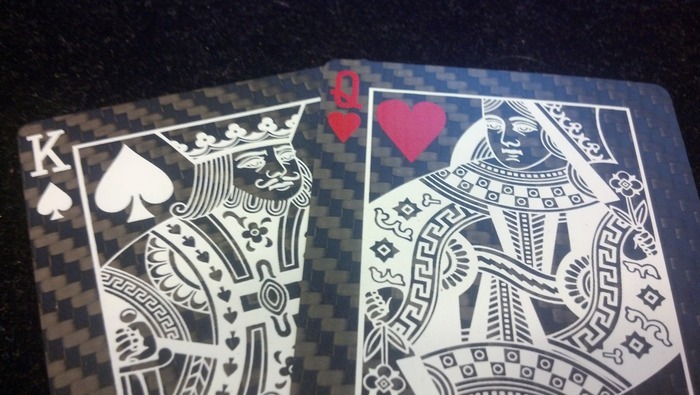 The carbon fiber playing cards are silk screened with red and/or white ink, and will come in a plastic or metal case depending on how much you would like to spend. 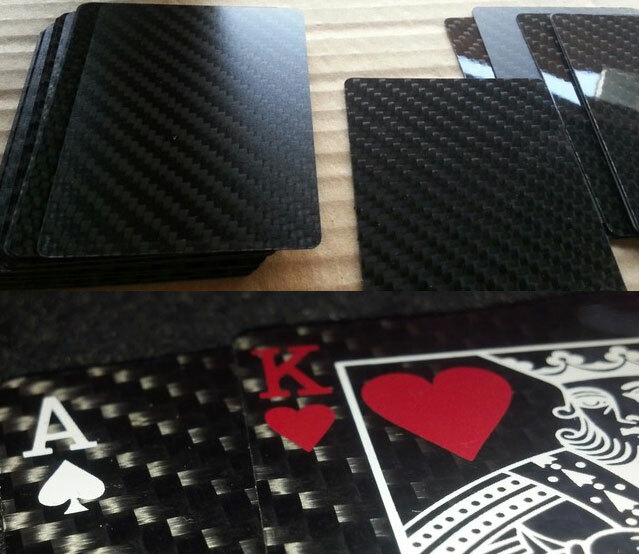 The carbon fiber deck of cards is still in a funding phase on Kickstarter so go reserve your deck now, and be sure to check out the cards in action via the videos below.